This guide to bitcoin hard forks will take an in-depth look at the different forks of Bitcoin that includes Bitcoin Cash, Bitcoin Gold, Segwit2X & Bitcoin ABC, Super Bitcoin, Bitcoin Diamond and Bitcore. Forks are often a contentious topic for many in the crypto world. 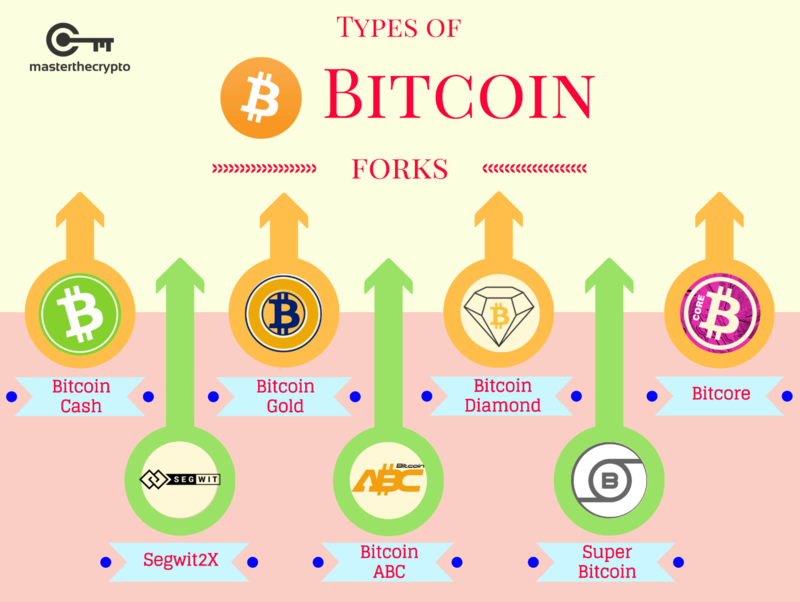 Some might see forks as a divisive force, while others view forks as a manifestation of diversity and innovation of the community. Either way, it is important to understand the underlying reasons for a hard fork and the major coins created from those forks. Master The Crypto presents the different major hard forks of the Bitcoin blockchain. If you’re not familiar with forks, here is a beginner’s Guide to Forks: Everything You Need to Know About Forks, Hard Fork and Soft Fork before you move on further.  Archived in Bitcoin, Blockchain and tagged bitcoin cash, bitcoin diamond, bitcoin gold, bitcoin hard forks, hard forks. Bookmark the permalink.